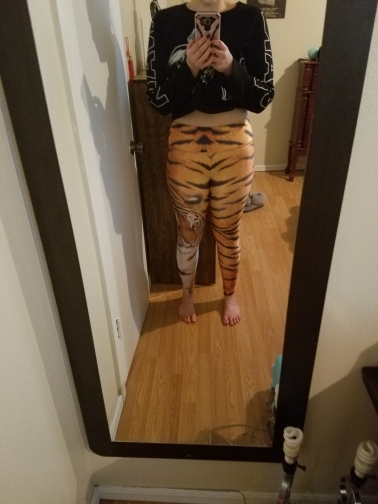 These impressive Tiger Sports Leggings are one of our Animal Print collection. Every female has something wild inside and you definitely need to try these pants. Take them in your morning running, a daily walk or at the house – they apply everywhere. 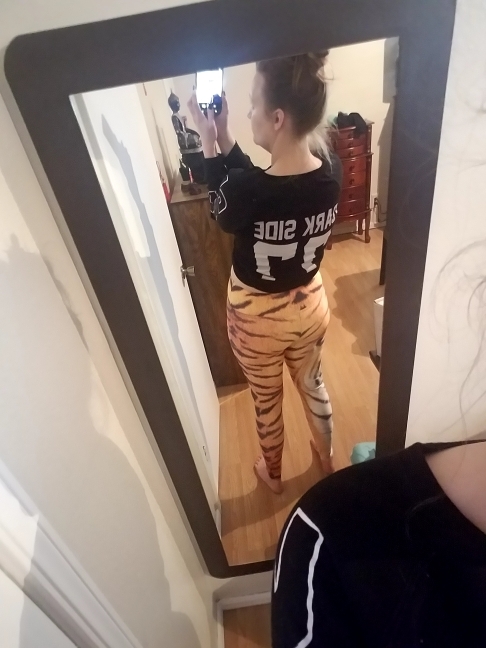 These leggings are so awesome. 5 stars aren't enough. they aren't see through and large fits American 7-8 perfect. Fast shipping, good quality. Thank you store! 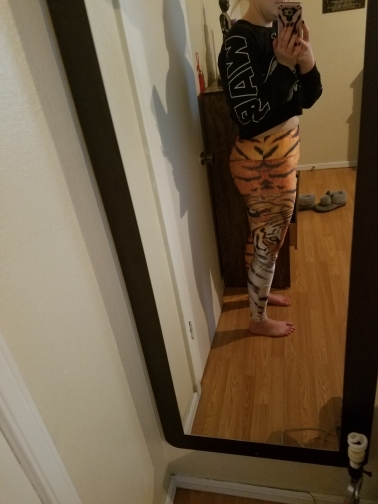 Received in good condition and fits well. Will buy again from this store. Great and really fast delivery.